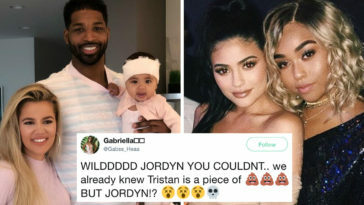 In case you missed it, the Kardashian/Jenner world is imploding on itself overnight after reports surfaced that Tristan Thompson—Khloé Kardashian’s boyfriend and baby daddy—cheated with Jordyn Woods—Kylie Jenner’s best friend. That’s right, the girl you see in all of Kylie’s photos, Snapchats, and Instagram stories had the balls to go hook up with her best friend’s sister’s baby daddy—DRAMA. 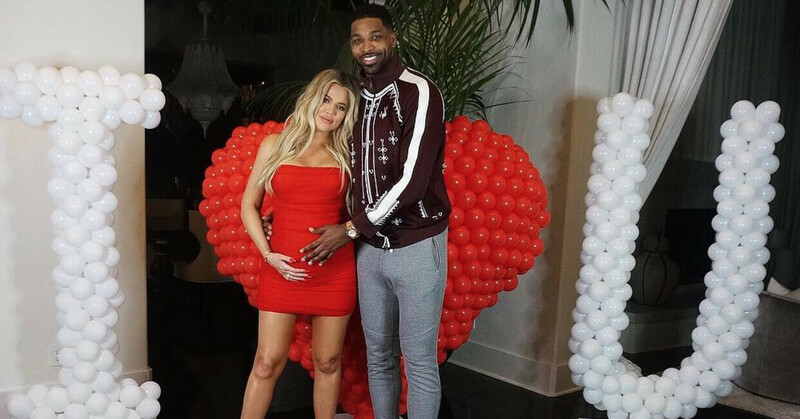 Now, sources close to the family are admitting that Tristan didn’t deny the allegations to Khloé at all when she confronted him. On Tuesday, TMZ broke a story that Tristan and Khloé broke up—again—this time, for good, after he was caught hooking up with Jordyn at a party on Sunday. The report indicated that Jordyn and Tristan were “snuggling up” with each other and making out. Following this, Hollywood Unlocked CEO Jason Lee posted a video to the Hollywood Unlocked Instagram page, saying that one of his reporters was also at this party and saw everything go down. 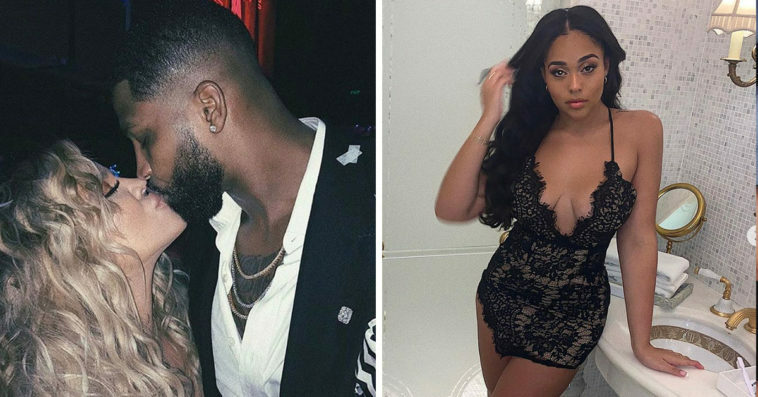 He went into details about what actually happened at the party—saying Jordyn stayed at Tristan’s place until 7 A.M. While it seemed like just crazy rumors, it turns out, Khloé and her friends decided to chime in on the video Lee posted to Hollywood Unlocked. 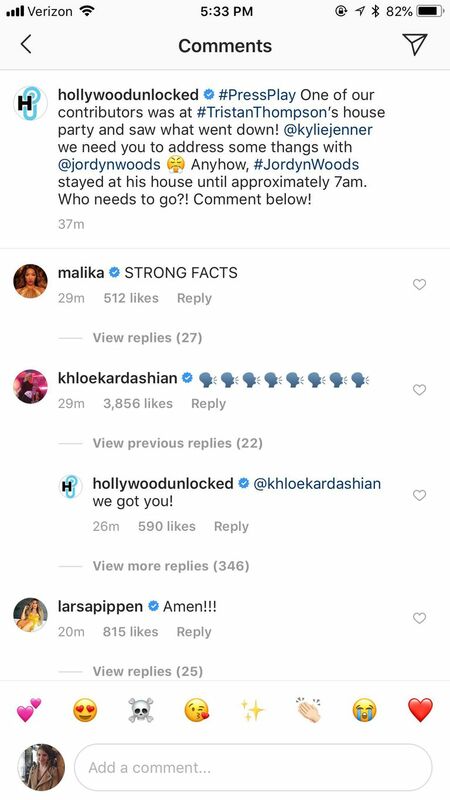 Khloé, Malika, and Larsa Pippen all had things to add to the video—essentially confirming that Jordyn and Tristan did get down. 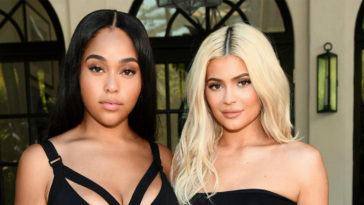 Now, sources are saying that the entire Kardashian family has cut Jordyn Woods off from their family and Kylie Jenner is having a hard time with the news. Tristan, on the other hand, feels no remorse. In fact, sources indicate that he told Khloé it happened—instead of denying it—when she confronted him. “Khloé was told by people who saw Tristan and Jordan making out and told Khloé, and Khloé confronted Tristan and he admitted it was true. Welp—that’s news to me…seeing as the NBA player was posting photos of Khloé and True on his Instagram page not only a few months ago. I guess a dog never changes its spots—amiright? The source says that Kylie was “in denial for days” after the news broke. 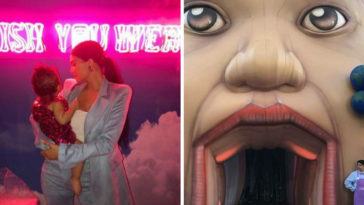 And, that the entire Kardashian family is completely cutting Jordyn off—and Khloé is utterly shocked and disappointed that someone so close to the family would do this to her. As of now, Jordyn nor Kylie, nor Tristan, has issued any comments or statements on the subject. h/t: Us Weekly, E! News.